The Gemological Institute of America (GIA) has added an enhanced collection of coloured stone materials to its Retail Support Program. Participants in the Gemological Institute of America’s (GIA’s) Retailer Support Program now have access to an enhanced collection of materials to sell and promote coloured stones. Adding to the program’s existing resources on emeralds and pearls, new ruby and sapphire brochures, available as downloadable PDFs, aim to educate consumers about the colour, clarity characteristics, sources, and treatments of these gemstones. 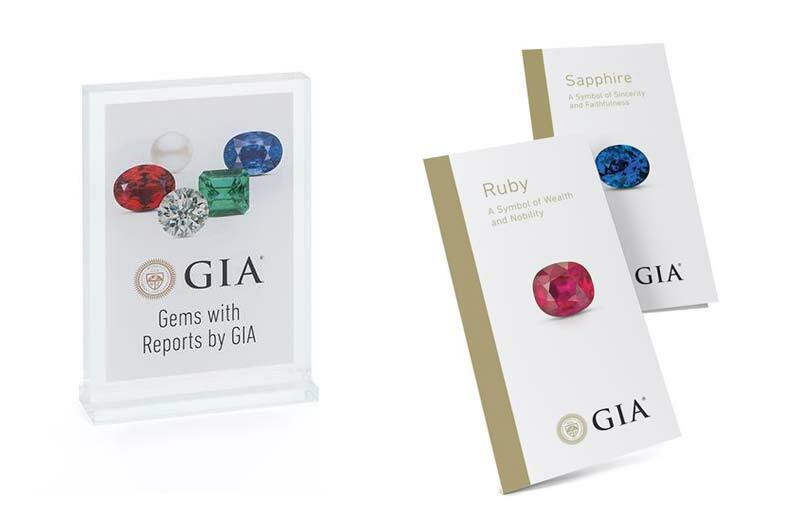 The GIA is also offering counter displays for retailers to inform customers they carry gems with reports, as well as a comprehensive flipchart with details of the colours, geographic sources, and mineral specifics of birthstones.